Dr. Locksmith Winnipeg has steadily become the area's leading residential locksmith provider since we've opened up shop. With some of the lowest service rates and the quickest response time to each and every service call we receive, it is rewarding to see more and more people choosing Dr. Locksmith Winnipeg for their locksmithing needs. You can trust our highly skilled professional residential locksmith technicians who are fully licensed, insured and bonded, and are constantly trained to stay up to date with the latest residential locksmith needs and technologies. 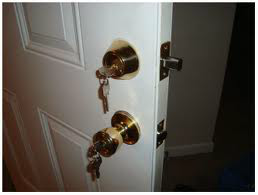 In order to keep your home protection up to date, it is important to replace your locks from time to time. In addition to the occasional change it is also recommended that you replace your locks if you experience a home break-in, or when you purchase a new home. Ask our technicians about the different lock models available! Dr. Locksmith Winnipeg's residential locksmith technicians have been trained to provide cutting edge home security solutions, so no matter the type of locksmith service you require, our technicians can handle it all: from a house lock out service, to broken key extraction, to fixing, replacing, or mastering locks, there is no job that is too big or too small for Dr. Locksmith Winnipeg. 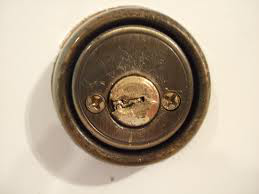 When you move into a new home one of the things on the top of your to-do list should be changing or rekeying the locks throughout your entire home. You can never know how many copies of the previous owner's keys may be floating around, or who might have them at any time, especially if some were lost - and no one likes unexpected guests. If changing the locks is not enough for you and your family to feel safe, or if you would like to increase the security of your home for whichever reason, our residential locksmith experts can also install higher security locks so you may have the peace of mind that you deserve. Dr. Locksmith Winnipeg boasts a full mobile locksmith service which gives our residential locksmith technicians the ability to respond to your call as fast as possible, and at any time, 24/7. Our residential locksmith technicians keep their mobile service unit fully stocked with all the proper parts and equipment they will need to perform any residential locksmith service you require so that your home will never have to be left vulnerable while waiting for parts to come in. When Dr. Locksmith Winnipeg is on the job you can be sure your locksmithing issue will be resolved right the first time. With Dr. Locksmith Winnipeg's selection of locks, including high security locks and pick proof locks, we are able to provide you with multiple options for updating or increasing the security of your home.